The Adirondack Regional Chamber of Commerce conducts ribbon cutting/ open house ceremonies as a complimentary service to our members. These exciting events provide opportunities for regional businesses to introduce themselves, recruit future customers, thank their business supporters, or showcase a remodeled location. The Chamber invites its volunteers and brings the camera, official scissors and, of course, the ribbon! We then happily share news of your event and photos with our membership. For more information about scheduling a ribbon cutting for your business, please click here. 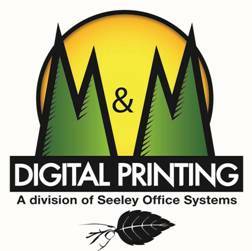 We want to thank our ribbon cuttings sponsor, M&M Digital Printing. Below are images from some of the most recent ribbon cuttings/ open houses.